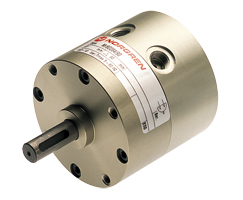 Rotary actuators provide a reciprocating angular or turning moment. It should be noted they do not provide a constant turning motion. 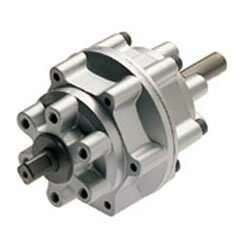 We offer both rotary vane actuators and rack & pinion actuators. Rotary vane actuators are small self-contained, double acting actuators taking less space than rack and pinion actuators but offering less torque output. Rack and pinion actuators offer greater torque, but depending on the angular motion specified this will increase the footprint of the rotary actuator.